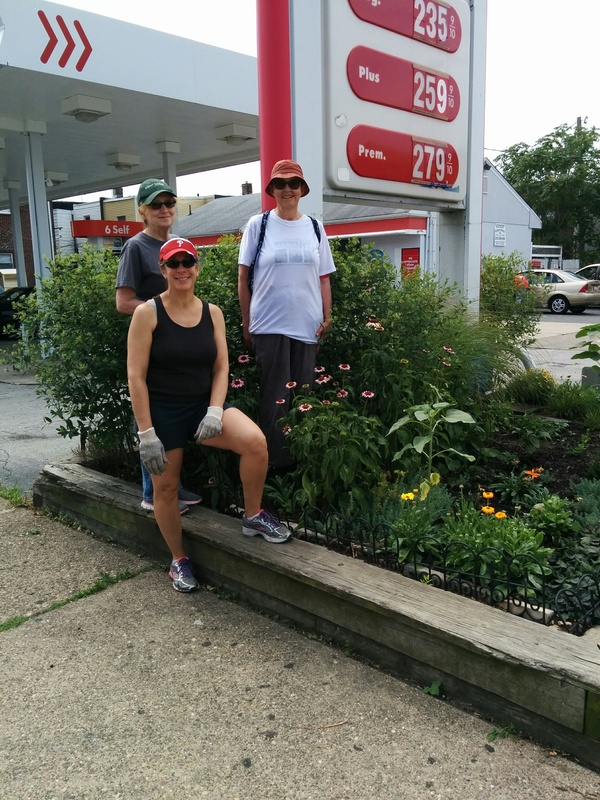 Here is a new photo of LoMo’s Gas Station Garden for submission to PHS for public space garden award. Judging is to take place in July. In photo are: Patti Tahan, Jean Merritt, and Darlene Olsen. Great job, Ladies! Thanks for your commitment to our neighborhood.